The extra wide 34” (86cm) conveyor and 50 degree side slopes provide better flow of material and increased output, and the 118” (300cm) wide body increases payload capacity for heavy spreading needs. The non-corrosive stainless steel conveyor floor prevents material build-up under the conveyor, providing longer service life to the overall conveyor system. The L5034G4 also features dual 30” (76cm) spinners and tandem hydraulic pumps to broadcast material faster and minimize time in the field. 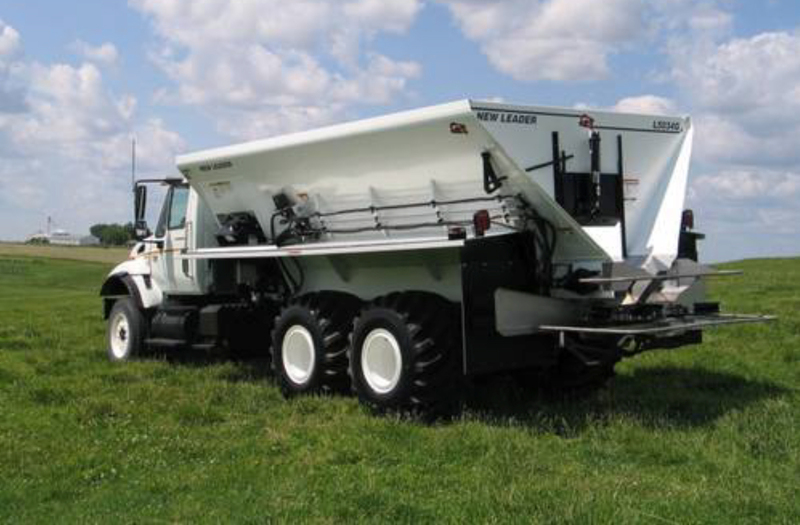 Compared to the average compost spreader, spinner power is increased by up to 50% and application rates are increased up to 33% or more; allowing up to 55 foot spreading intervals.